The song was written by Leroy Fullylove and LaVern Baker. It is arranged and conducted by Jesse Stone. In 1960, “Bumble Bee” went to #46 on the Billboard Hot 100. 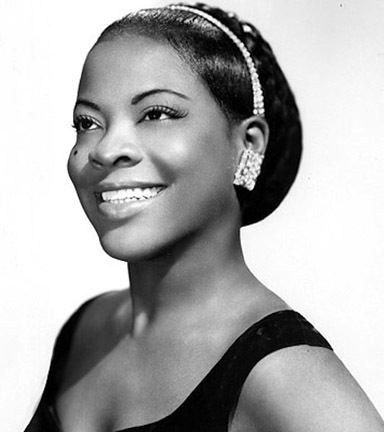 Delores LaVern Baker began singing in Chicago clubs in 1946. In 1953 she changed her stage name to LaVern Baker and signed with Atlantic Records, where she had a succession of hits on the R&B charts over the next several years with her backing group The Gliders. Here most successful songs were “Jim Dandy,” “Tweedle Dee,” and “I Cried a Tear.” In addition to singing, Baker also did some work with Ed Sullivan and Alan Freed on TV and in films, including Rock, Rock, Rock and Mr. Rock & Roll. Please click here for the Daily Doo Wop YouTube channel, to which you can subscribe. Thank you for stopping by The Daily Doo Wop. Hope you enjoyed “Bumble Bee” by LaVern Baker.